uPVC Spraying Northampton. 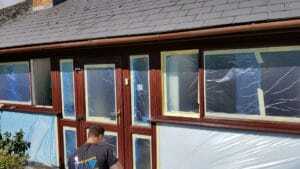 The SprayMasters Traveled to Northampton for a uPVC Window spraying project. Brown to anthracite grey. 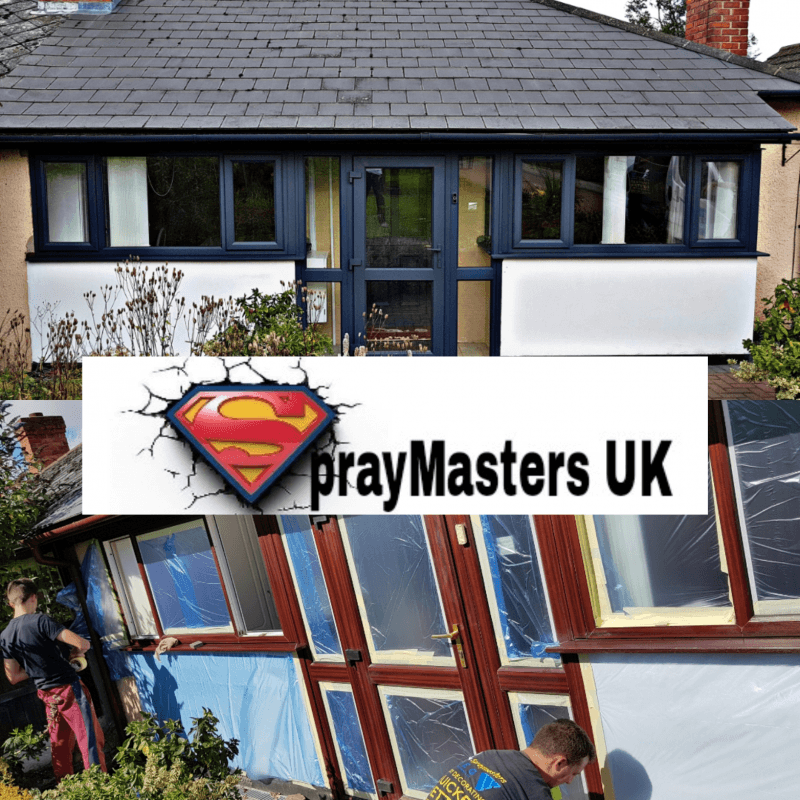 The Spraying of uPVC is becoming increasingly popular with the home owner, it’s a great way of improving the homes appearance without breaking the bank. This is the Feed back we had of our customer in Northampton. “Having discovered that you we could paint our Rosewood mahogany PVC windows we then had to research how we could do this. 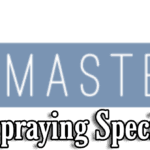 I searched on the net and eventually was put in touch with Ashley from SprayMasters. He was very helpful and informative and very quick to respond to my questions, providing very useful advice and guidance re. Colours, when to do the work, how it worked etc. On the day of the work he and his team arrived punctually. As we were still undecided on colours, he took us through examples of previous work he had done and, again, provided guidance. 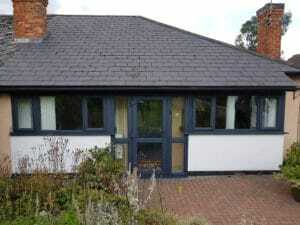 We opted for Anthracite Grey and I can honestly say it has transformed the look of our bungalow. They worked quickly and efficiently and, on completion, left everything neat and tidy. Ash and his team were friendly and accommodating – doing some extra work for us as a last minute request. The cost of the work was excellent value for money particularly when you compare this to the cost of replacement windows. 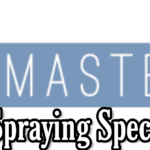 The SprayMasters are always booked up well in advance it’s a sign of our quality, if you would like us to transform your property for you it would mean waiting between 4 to 8 weeks unless a cancelation happens and then we offer it to those patiently waiting. Remember, a Rolls Royce takes 6 months to be built, a Toyota takes 13 hours, You’ll be glad you waited once you see the quality we produce.